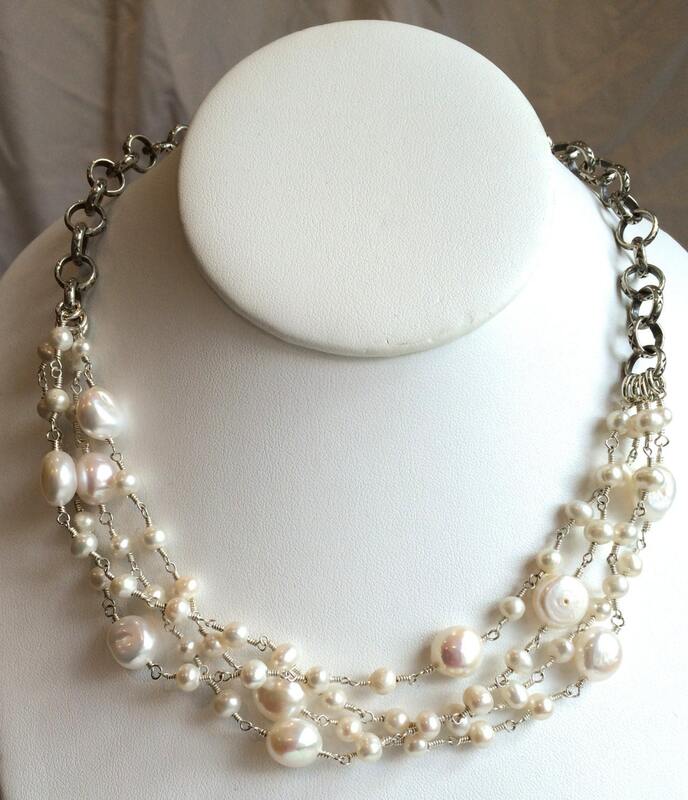 Wire Wrapped Pearl Necklace--Multiple Strand White Freshwater Pearls 16"
4 strands of wire wrapped pearls alternate between large and small creamy freshwater pearls. 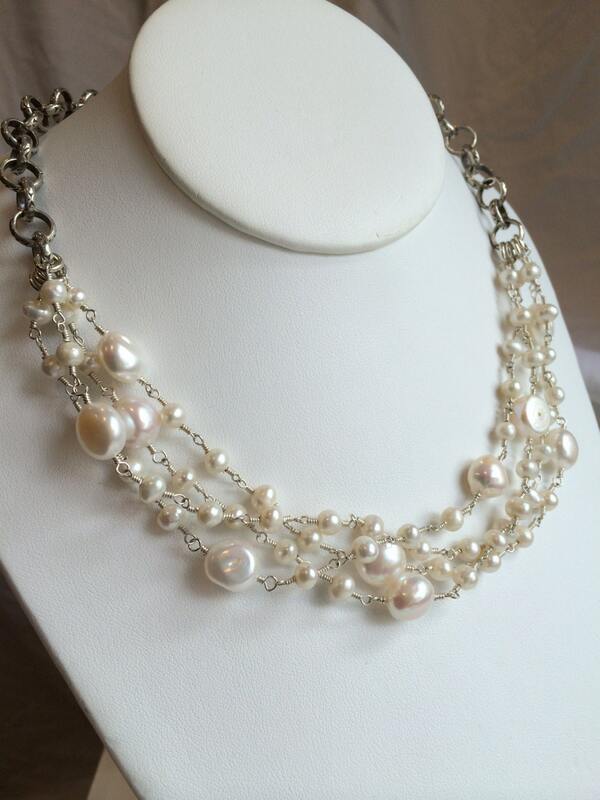 Each pearl is hand wrapped on sterling silver and creates a lovely necklace that can be adjusted from 16-18" in length. 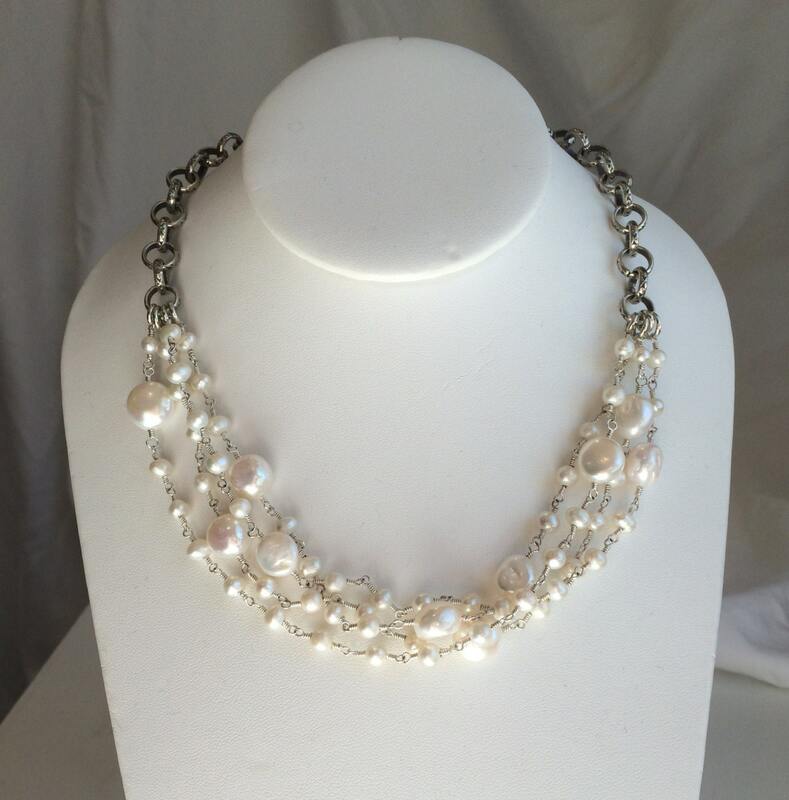 The pearls are attached onto a heavy Thai silver (99.5% pure silver content) chain. A solid "S" hook clasp makes putting on and taking off a breeze. Look at our store the matching wire wrapped pearl bracelet! 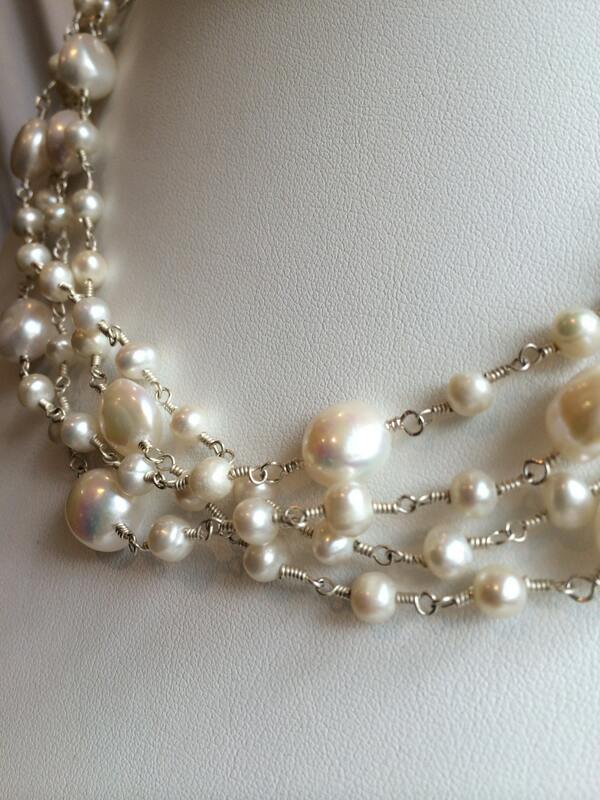 This would be a lovely bridal set for one who wants to wear pearls with a fresh look. Thank you for visiting our shop! We also take custom orders and can often do a similar piece in different colors if requested. We also offer bulk / bridal discounts. If you have any questions regarding this item, please don't hesitate to contact us. We'd love to hear from you!